At the Cattery Cat Shelter in Corpus Christi, Texas, a long-haired, brown-and-white tabby named Virginia watches over a litter of kittens. She is a meticulous babysitter, ensuring each of the tiny cats is thoroughly bathed and cared for at all times. 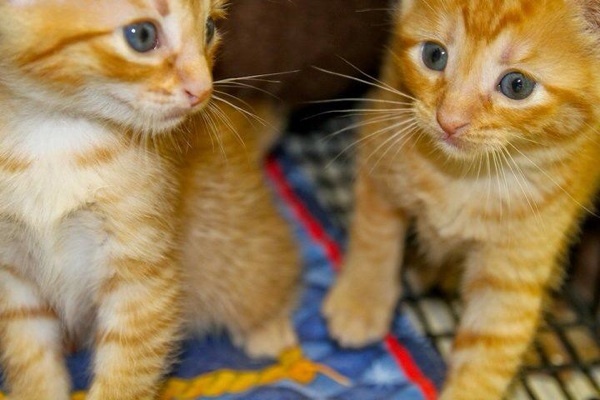 One by one, the kittens get adopted — they always do. Virginia waits for the next litter to arrive, standing by the door of her room each morning, meowing with anticipation. The kittens come and go, but Virginia always sticks around. Perhaps one day Virginia will find her forever home, but according to Person, it will take “a really special household.” Virginia is disabled — one of her rear legs has been amputated, and the other is paralyzed. Lacking control of her bladder and bowels, she also wears a diaper. At the Cattery, homeless, abused, or abandoned cats live cage-free and are separated by age groups. Virginia cannot handle the occasionally rough play of cats her own age, so she lives with the kittens — and she has embraced the role of adoptive mother. And until she finds that special home of her own, Person says, there’s always room for her at the Cattery, which is a no-kill shelter. 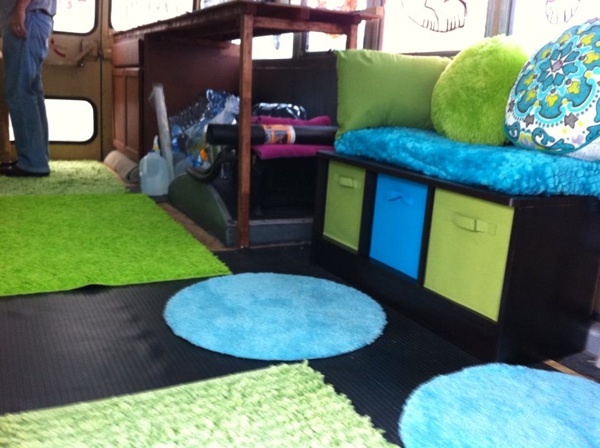 Despite her disability, in Corpus Christi, Virginia is one of the lucky ones. According to Person, cats are still seen as second-class citizens — basically throwaway pets — in the largely rural, agricultural area. South Texas as a whole also has some of the worst rates for spaying and neutering compared to the rest of the country. 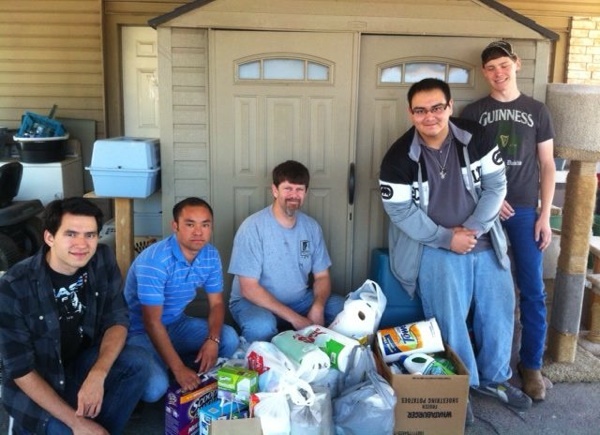 Since Person and his wife, Samantha, founded the Cattery in 2007, one of the main roles of the shelter has been raising awareness of animal issues through a variety of outreach efforts, including coverage in the local paper and on the local news, visits to schools and community groups, and off-site adoption events. 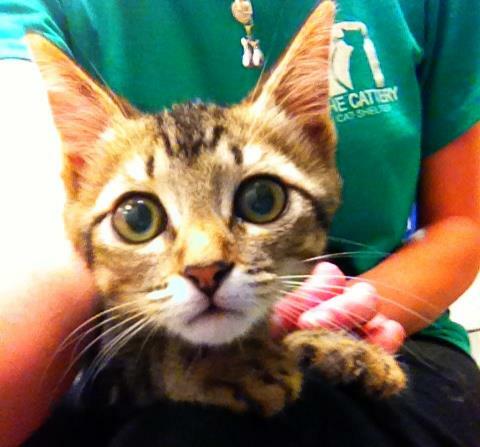 The Cattery is also active on Facebook and Twitter — join them for adorable updates. Outreach efforts also include education on the hazards of animal overpopulation — and the importance of spaying and neutering cats and dogs. Earlier this year, the Cattery opened a low-cost spay/neuter clinic to provide an affordable option to the surrounding community. Of course, the Cattery’s primary focus is getting cats adopted. Since 2007, they have helped more than 1,900 cats find their forever homes, averaging approximately 10 adoptions per week. They have also given loving care to countless cats in need, like Virginia, who might have otherwise been euthanized. 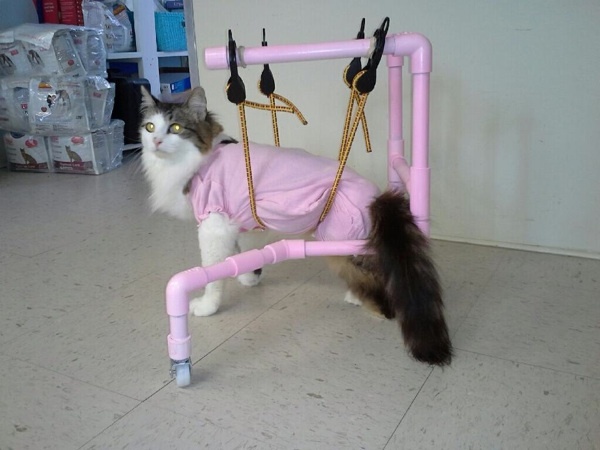 Cattery volunteers are so smitten with Virginia, in fact, that they constructed a fashionable pink therapy cart to help the three-legged cat build strength in her remaining limbs. 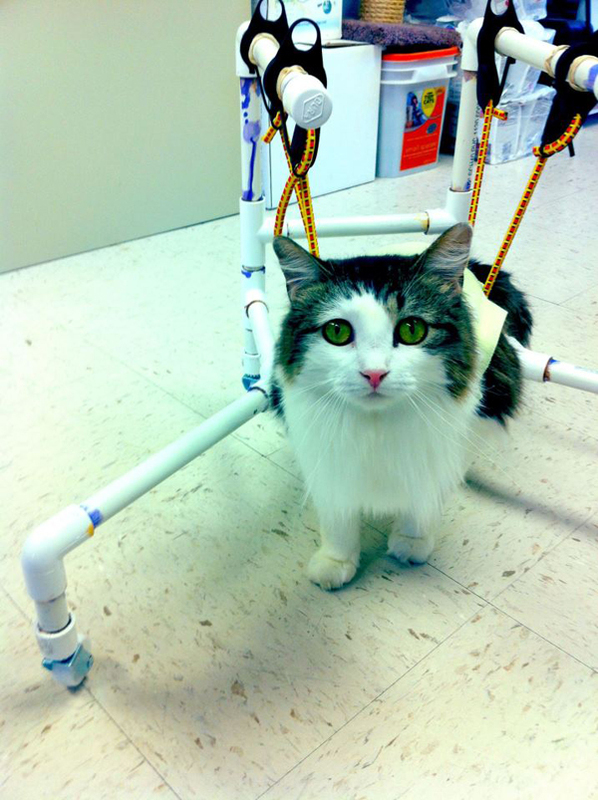 After using the walker for only a short while, Virginia put weight on her rear leg instead of letting it drag behind her. Volunteers will continue to work with her to help her progress. 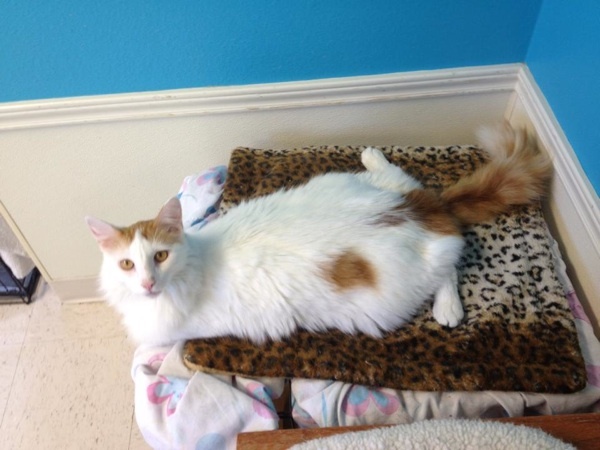 According to Person, seeing cats like Virginia thrive is animal rescue’s greatest reward.